Jakub Wyszyński is a young, promising Polish rallycross driver. In the previous season, he managed to win the OPONEO Championship of Polish Rallycross Championship in the SuperNational1600 class at the wheel of Citroen C2R2. He decided not to slow down the pace and follow the blow! According to the information provided by the organizers of the FIA ​​European Rallycross Championship, Jakub will start in the European Championship behind the wheel of the Volkswagen Polo MK V S1600. The technical service will be dealt with by none other than Krzysztof Skorupski – known for his performances at the FIA European Rallycross Championship and the FIA World Rallycross Championship. The team will also work closely with the Czech stable Blueenigneering. The S1600 class is the best way for a young player to appear in global rallycross. Ernestas Staponkus approaching the penultimate turn, Round 9 of the 2015 World Rallycross Championship as held at Lohéac Circuit. Kuba Wyszyński: The project which we are starting with Krzysztof Skorupski’s AutoMax Motorsport is a professional Polish undertaking in the S1600 class of the European Rallycross Championship. We have a season full of new experiences, lots of training, tests and hard work ahead. We decided to make this move with the aim of further development and competition with the best, it’s a bold step in my career. We risk a lot but who doesn’t risk this one doesn’t drink champagne. The car, VW Polo MK5 well known to ERX participants, because in the past seasons it was driven by Lithuanian driver Ernestas Staponkus, we decided to buy a car from him. Polo is built on the best components and with the utmost care by the Czech company Blue Engineering. Plans for the 2018 season are to pass the full season in ERX and place in the general classification. Currently, I don’t think about MPRC and 100% work, concentration and sponsorship opportunities I put in the European Championships (ERX), I don’t hide that I would like to perform in one round in my country and face my colleagues from last season. Big thanks to the sponsors and in particular, I would like to thank the entire Royal Fleet team for financial and spiritual support, thanks to which I can be here where I am and with pleasure and eagerly use my chances. I encourage everyone to cheer and follow our progress, the first start is April 14-15 in Barcelona. I can not wait for this weekend and I am curious to see how we will fall out of the twenty-four other drivers in my class. We keep our fingers crossed for our compatriot! 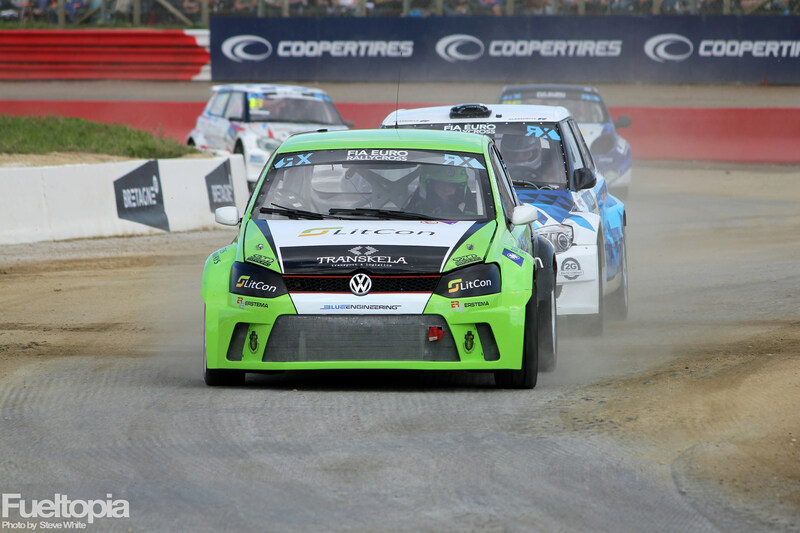 We are counting on successful performances in Europe, which may turn out to be a pass to global rallycross!